The commercial trucking industry is one of America’s largest industries, with approximately 7.4 million employees. It also happens to be one of the nation’s most important industries. According to the American Trucking Association, 71 percent of the nation’s cargo is transported via truck, and more than 10 billion tons of weight is shipped by 18-wheelers each year. What these numbers tell us is that the industry is essential to the American economy, and without it, our economy may cease to operate. Essential or not, there is no doubt that trucks, because of their sheer size and weight, are a hazard. To protect truckers and others on the road from life-altering and potentially fatal accidents, the industry has a number of rules and regulations in place that dictate what truckers and the companies for which they work can and cannot do. One such rule is the Hours of Service rule, which was established by the Federal Motor Carrier Safety Administration. But, many want to know, do these rules apply to all commercial drivers in all situations? Is used to transport hazardous materials in a quantity requiring placards. If a commercial vehicle does not meet any of the above standards, is not used as part of a business, and is not involved in interstate commerce, then there is a good chance that it and its driver are not subject to HOS regulations. The FMSCA’s HOS were designed to prevent drivers from working the maximum number of allowable hours (11 hours on a daily basis and 60 to 70 hours on a weekly basis) on a continuing basis so as to prevent driver fatigue. To prevent this, the regulations mandate that drivers take at least a 30-minute break at a time of their choosing if they have been driving for at least eight hours. Long daily and weekly hours are associated with an increased risk of crashes and chronic sleep disorders, two problems which generally affect workers who drive longer hours. 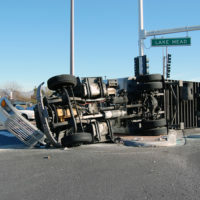 If you are involved in a truck accident in Miami, contact a Miami trucking accident attorney right away. An experienced lawyer who has the right resources can perform a thorough investigation to reveal the cause of the incident and determine liability. For help boosting your case, contact Spencer Morgan Law today.